I went to church on a mellow Sunday morning in California years ago. It was warm, a pleasant breeze came across and through the orange groves. The fragrance of jasmine was still in the air. People came from the parking lots on all sides of the church for the morning service. A divers and colorful crowd of all ages. They fit very well to the background of the natural and cultural climate of California. This was the first gathering after the summer and its interruptions to the life of a community. The service started with lively music. What must have been a band played up front, a young man led the singing. There were musical instruments and voices, swinging arms and hips, bouncing hair and broad smiles. Many gifts and abilities in the congregation were joined in worship. At some point the pastor invited members of the congregation to tell the others 'their story': how God had continued to accompany them through the summer weeks while absent from the others. And we heard stories. They linked up with events earlier in the year. They brought tales of summer activities, of camp and field trips, of ministries and experiences here and there. They were stories from their lives, but couched in terms of lessons from God. As each person added their story to the story in the church, two things came to mind. I have been puzzling over them ever since. Firstly, there is no way anyone could seriously examine what had taken place. We only heard their story. People gave an accounts and their personal interpretation. They were anecdotes and description of events, a lists of activities. We got to know what kind of things people had done and how they had interpreted them, benefited from them or suffered under them. Secondly, a suspicion rose in me that these stories were intended to be seen in some way as a distant continuation of the account of God's activity through the Apostles in the Book of Acts of the New Testament. They became the most recent chapters to a book in the Bible, only now set in California. In other words the church members with their stories had become prophets, who brought God's additional and more recent word, affirmation and interpretation to us through the personal experiences. These thoughts may not occur to, much less trouble you. To me it appears worthy of some reflection before giving too much importance to such personal records. For what was implied through the telling of stories carried with it a weight of revelation, of correction and direction, or prophecy for the church. But it was only the record of an interpretation given by individual believers. Their reading of events was accepted as worthy of praise and approval merely because they had experienced it. But they are not Peter or Paul, John or James, Marc or Matthew, or Jesus to us! God of course does continue to reveal himself in truth and power to individuals. We rejoice in answered prayer and miraculous works. We pray for God's intervention and protection. But these are always individual events, not normative for the life of the whole church. Conclusions drawn from them or even their interpretation is not of the same authority as when apostles spoke and clarified an event to be of God and how it was to be understood. Stories of fellow believers are probably mostly true. But they express more the faith of the believer than a message to all believers. They are stories more on the level of private accounts than of the history of God's dealing with his people. They are supportive and illustrative, not prophetic. Unhappily, in my estimation, we tend now to pay more attention to such living accounts than to the printed letter of scripture. Stories relate more to the present. That gives them the desired relevance for a generation not interested in history. They describe current events and are livelier than the history of God's work and word. Yet I wonder whether we realize how much we, a culture nurtured on TV with its visual information, live and relevant, are attracted to the living image, the story and the anecdotal record? Ideas through words constrain us to reflect, to think and to evaluate; they find little acceptance. We are swept along, bowled over and deeply moved by personal experiences more than be insights, wisdom and responsible obligations. When the 'Thus saith the Lord' of Scripture has been replaced by 'Thus goes my story' of the shared anecdote we have lost something of certainty, assurance and replaced it with immediacy and self-confidence that may readily border on personal arrogance. I suggest we should be troubled by all this, because of certain parallels in the world around us. Could it be that here again many Christians merely baptize with Christian words and good intentions something that is not scriptural, but irrational and immoral? For that is the case when we attribute to God all kind of things in our personal stories that may not be consistent with the certain word He has given us as His-story. Such a shift from living under God's word to living with my word from God parallels the whole drift from certainty to opinion, from the vision of an objective world to each person's own perception of a world, from insight to anecdote, from truth to relationships, etc. This shift has been widely recognized outside the church. 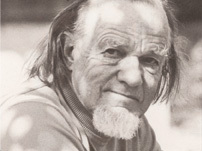 David Wells has expanded an earlier lament in The Great Evangelical Disaster by Francis Schaeffer with considerable details in God in the Wasteland and No Place for Truth. We have as a culture embraced the mentality against which St. Paul warns in Ephesians 4: 17 - 19: "You must no longer live as the Gentiles do in the futility of their thinking. They are darkened in their understanding and separated from the life of God, because of the ignorance that is in them due to the hardening of their hearts. Having lost all sensitivity they have given themselves over to sensuality...."
Our culture is at risk, for we have replaced careful reflection through the use of our educated minds with a pursuit of sensuality. What tastes, feels and gives us a personal experience is more desirable than what is true, good and beautiful. The mental work has been replaced by the almost physical experience of consumption, by feeling and by sensual experiences. Like the Gentiles, we take sensuality as a criterion of truth. Relevant are the immediate things, not the truthful ones. One could also say that we have become 'minimalists', talking only about our own personal experiences, ignorant of the greater issues, the wider world, the greater wonder and tragedy of life in a fallen world. You try it once. Listen to the stories people tell. They revolve around their experiences, their victories, their pleasures. They don't seem to know that there is a wider world, more important questions, greater pain and real persecution in other countries and cultures. Little wonder, for they have never heard about them. People from there don't make it here to tell their stories. Let me bring two recent comments to this place to show that the suggestion of the church once again following the culture is not just my opinion. The first is drawn from a review of Beyond all reason: The Radical Assault on Truth in American Law by Daniel A. Faber and Suzanne Sherry, (Oxford University Press, 195 pp.) from the pen of Heather MacDonald in Commentary, October 1997. MacDonald brings to our attention a gradual shift in legal thinking, which in fact turns out to be an attack on the practice of law and the search for justice in the traditional sense. In so far as the debates suggest that rational arguments and decision making in each case should no longer be "law's defining virtue" we enter a season of fluid concepts, relational experiences and personal feelings about guilt and innocence. The emphasis on accurate testimony, reliable witnesses and reasonable conjectures is seen as favoring one side and terrorizing the other. For certainty is always intimidating. Therefore there should be a neutrality, flexible concepts, abolishing traditional rational considerations, to do justice to the assumption that there is no more objective truth. "The most heinous pretense of such rational neutrality can be found in our societyÆs vaunted standards of merit. In their eyes, merit as such does not exist: it is everywhere and always an artificial construct., devised by the powerful to preserve their status." Reasoning on the merit of evidence is thus seen as inferior, for it pits the argument against the experience, the intellectual against the sensual conclusions. Follows the suggestion to reject case analysis and to introduce the telling of stories. "These are autobiographical and fictional accounts of encountersà.As a mode of discourse, story telling is also designed, as one advocate puts it, to advance the interests of the æoutsider communityÆ and hence it is not open to criticism by members of the privileged class." MacDonald rightly notices that among the more alarming qualities of story telling is its breezy indifference to questions of fact. ôIt does not matter whether T. was actually raped or whether she just made up the incident: either way, according to this professor, she remains the victim of some unspeakable crime.ö Except of course that in one situation she was physically raped. There is a guilty party. In the other she merely thought so and needs comforting and psychological counseling, not legal justice. Story telling does not clear up things with its highly personal, mostly insular and at times paranoid mode of thought. It insidiously resists rational criticism. Anything can be presented in a story. Stories can be used because of the ætransformative power of narrativesÆ But stories do not necessarily transform ignorance into insight. They more often tell as much or much more about the teller than about actual events, the truth. We have here the first application of the method of story telling to arrive at a judgment, where truth, reason and the facts no longer matter as much as what a person thought, how she felt and what should be done about it in society. It leads to judgment by emotion, not on the basis of reliable witnesses to a crime in the real world. Jesus used the type of story we call a parable to get an extremely important point across to the audience. But he spoke with authority and assumed that the hearer would recognize that point. The Bible is not the collection of New Testament stories. Luke wanted to give an accurate account of things that happened among them. He did not tell a story, but His-story. His narrative has the power of convincing facts. Modern story tellers lack either that authority of the Son of God or have no insight into the true situation they talk about. How can they, when they start with their narrow personal perspective in a cultural climate that assumes sensuality as a valid and sufficient criterion of truth? Especially when it produces tears and smiles in the other listeners! And again, how can they, when the point of modern narration is not to inform as much as it is to provoke a response. It serves to invent a useful picture in the mind of the listener. When McHugh ends the description of the disease and possible assistance to dying patients, he responds first to the specific way such assistance through suicide is presented by Kevorkian and his advocacy of personal right of the freedom of choice. "All this, however, is a lie built on a terrible distortion. The distortion has to do with the way Kevorkian drags his ideological heroes - Locke, Jefferson, Mill and the rest - into a realm in which their political categories do not apply." Certainly there is the right of freedom. Theirs was the freedom of informed and moral men and women against the oppression by an all powerful, almost absolutist state. That is not the case for the terminally ill. Here one must "distinguish between true and alienated desires." When we are in full possession of our mental and physical faculties, that distinction is easy. "But when outside forces overwhelm the self, rendering it to unreflective impulses (as in such desperate conditions of terminal illness,) patients turn to physicians precisely because they can rely on their advice, when their own faculties to think clearly have been impaired by such outside influences." "In any case - and here is the lie - the real philosophy espoused by Kevorkian is a doctrine not of rights but of feelings. For in dismissing the role of the physician as a provider of reasoned guidance, as one who helps the patient differentiate good from bad, right from wrong, responsible decisions from impulses, Kevorkian "privileges" instead the momentary inclinations of the patient, who is most often in extremis. Kevorkian himself never reviews a patient's full history; never considers the relief of symptoms other than via death; never invokes contemporary knowledge concerning the management of a patient's disease; and never reflects on the patient's mental state or personal vulnerabilities. He also never considers how his own proposals and practices may influence a suggestible patient's decisions. The propositions advanced by unsettled and possibly unbalanced minds he absurdly equates with the thoughts of free and reflective citizens, and upon these unbalanced minds he then grandly confers their "rights." "How have we as a culture come to this pass?" McHugh rightly asks and answers that we have made feelings the most pertinent factor for our decisions. In fact, I would suggest the problem is larger than that. We have even abandoned the larger horizon of a purposeful human existence from the Bible to raise ever only relevant questions about our purpose, our lives, our happiness and God's special work for us. That is why we need so much repeated private personal evidence of His love, give personal testimonies of our highly personalized well being, tell so many personal stories and share anecdotes of blessings. The root of this shift and subsequent problems is in part a shift in philosophy, in the approach to life itself after God. For in the end the other way of dealing with ALS, described in Tuesdays with Morrie, a series of meetings and conversations around a heroic battle for life in the midst of a march to death, is also only a series of anecdotes, conversations, "psychobabble and empty hedonism." It does not have any relationship to an understanding of life and death, to what it means to be human, to what is right and wrong, to explain reason and origins, pain and purposes. These things, so exposed in the face of death, are not addressed. Mostly the book seems to be a record of personal anecdotes, not very different from the way people report their travels, exchange bargain hints around town or, in our Christian circles, their Christian advice drawn more from verses than the text, from what it all means to me than what it ought to mean to all of us. Both in the world around us and in the Christian world we have largely given up a tradition that starts at Creation and answers the question of origins and first things. We rarely recognize an enduring human community, a continuity with a large inheritance from the past and major obligations into the future. We focus more on ourselves and rather arrogantly claim center stage in an otherwise empty theater. For at the same time the expected audience is also only concerned with itself in front of its own screen. So we just talk, tell stories and hope to feel better. McHugh suggests that Tuesdays with Morrie reveals a specific philosophical orientation of its main character, Morrie Schwartz. He "comes from the group-process school of social psychology - a doctrine that promotes the kind of therapy based on the vigorous exchange of off-the-cuff personal interpretations and frank, uncensored opinions.' It emphasizes talk and self-display, replacing instruction by the willingness to discuss everything. The process itself, not the explanations given to puzzling questions, is the therapy. Being able to speak openly, truthfully, with feeling is seen as the resolution of tension, if not the answers to instruct the mind. This is a widely accepted form of seeking healing, therapy or simply an audience. But while an older form of public debate was aimed at sharpening a specific truth sought by all (moral government, precise diagnosis of a disease, a complicated mathematical answer, a better product on the market) the current love for discussions is more a pooling of opinions, where no one has to be afraid that it is merely a sharing of ignorance. For the process matters, not the outcome. Truth is not something to be sought, but the dynamic of the event itself. That is why seemingly so many Bible studies, political discussions, group sessions and school classes are more about discussions than actually coming to greater understanding and wisdom on a subject. I remember my children being rather insulted when they were expected to have an uneducated and un-researched opinion in school as an important form of participation in the "learning process." By not requiring research ahead of time you can easily create a public reaction without a basis in information. At the time it was a discussion about whether Castro was responsible leader or not. Noone had studied anything about Cuba, its recent history, Communism or what different leadership concepts involved. Many Bible studies I have attended are little more than a sharing of personal views, unless there has been careful preparation with homework, commentaries, and concordances. I wonder whether the proof is not in the pudding: I puzzle over the vast number of such studies without preparation by someone in the group and the little effect they seem to have in the public life of the republic. The voting patterns, the wisdom in public affairs, the buying habits, the normal life and the moral choices of people over all don't seem to be effected much by the teaching that supposedly goes on in the Bible studies. There is much 'teaching' about love, openness, forgiveness, experiences, but little about duty, knowledge, responsibility and accountability. Nobody seems to readily admit that he lacks wisdom. We should be asking for that (James 1:5) instead of for signs and wonders and all the other things to put into our narrative. What could be more relevant than wisdom? When St. Paul evangelized in Thessalonica for three weekends before being kicked out of town, the whole world of the believers changed. They turned from their idols to the living God (1:9,10). Paul taught them about each of the circles of life, beginning with personal morality, social relations, the practical approach to living in the real world of work and society. Then spoke of the believer's approach to the tragic reality of life and death (4:1-14). That was the content of his teaching. But you can't get there with a focus on a personal relationship with Jesus and how good you now feel about yourself! What is the use of such deep feelings, facilitated in something like group therapy sessions, when all of us, living after the Fall of Adam, know little about God or the unresolved mystery of creation and suffering, of evil and resistance to it. What does it mean to be created for the purpose of being a human being? What is the purpose and meaning of it all? What can be more relevant than this finding answers to these questions? Our church may give us much pleasure, many stories, personal interpretations, anecdotes of laughter and tears, of fear and relief. But can the church still know enough of a Biblical view of life and death, when we are more intent on hearing different personal stories around the Biblical text rather than the text itself? Perhaps we no longer even know the difference! For, our stories today are in their nature untied to a larger tradition, to history and an enduring human reality or a larger human obligation from the Bible to live in a certain way. What can I give to those around me or further away, who lack my friends, do not have an interesting life, no great anecdotes? Accounts of how people have done it do not offer any prescriptive resistance to death! In my travels with Christians from many backgrounds I hear quite often that they go to people to share their relationship with Jesus. What is sharing here? Is Jesus being introduced, or my relationship? Is the focus on my relationship? Who is this Jesus apart from what I have experienced recently. Is he the Jesus of history, the Son of God and the Son of Man, or the imagined focus of my attention as I have him filtered through my current expectations into my experiences? We are accustomed to pluralism in our modern democratic and free market environment. That makes us vulnerable to accept spineless stories as God's truth for all ages. With so many choices before us, so many highly personal stories and testimonies, it is easy to develop what may be called intellectual and moral spinelessness from the denial of absolutes and the correlative failure to develop rock-bottom convictions. Particularly deceptive in this is that we think we have convictions. But these are more about the medium, the format of stories itself, than about the world and the truth about it. For in fact we may have become doctrinaire about our personally experienced stories and know little about the permanent things, the doctrines of Scripture, the lasting truth of the infinite-personal God of the Bible. The doctrines we hold and understand may reflect more often denominational specialties, even unique historical peculiarities, than actual links of Biblical teaching that describe the truth about God and the real world. This can easily happen when, as part of the shift of emphasis to personal discovery, modern Christians tend to study their favorite passages rather than God's whole word. Couple this with the focus on what any passage means to you, an invitation to subjective, feeling based, exegesis, and you pay little attention to what that passages says as a text in itself to anybody at any age until the Lord returns. There is a certain deja-vu in my life about this. For the rise of the new super-spirituality thirty years ago also had that focus on personal spiritual experiences. Often the churches were divided as a result, because not all of God's children had the supposedly greater insights and words of prophecy that a few claimed for themselves and by which they judged the rest. We have turned a page, but still read in the same book of gnosticism. Paul already wrote against it. Yet the lure to have access to secret, special and private knowledge beyond and above Scripture is always with us. Some folk just find it not good enough to live by faith. They desire more for ourselves. They want to see, hear and feel immediately. We want an intimacy with or need a sign from God for us personally, so that noone can question or examine or doubt it. I hesitate, for I do not trust myself enough. I am quite vulnerable to the modern mindset. In an age of tolerant subjectivism, an age marked by post-modern thinking, a time of so many offerings on the market of ideas, in books and in sermons: a world with so much freedom, I find it difficult to be wise and responsible. Eve fell for the temptation of a thing that was good to look at and pleasing to the eye. We must recognize from that historic situation the need to hunger and thirst for righteousness, to ask for wisdom and to train ourselves in it. For we should remain careful and discriminating in our selection. To live by faith is after all not a matter of being willing to believe all things, to try all things and to approve of all things that happen in my life or mind. There is something concrete, defined and specific that we believe about God, revelation and reason in the real world. We are not ashamed even when we do not see, are not always delivered and sometimes suffer. For we do not live by seeing signs and wonders, but by believing the living God to love and to work for us. I once asked a director of a large Christian work whether there was evidence in the moral/cultural life of the country for a gradual change after years of evangelistic efforts that resulted in thousands of stated conversions . Were there more people building their marriages, making wiser decisions in their work and society? Was there an improvement in private and public morality? Was there a greater interest in culture, education and the practice of compassion? He admitted that the claims of conversions had not visibly converted the public life. And how could it, when the focus is so much more on self-help, personal affirmation by God and a survivalist interest in finding the clue for a better life personally? Yet, how much more evident was the gradual change as a result of the teaching in the Reformation, when a whole culture changed from a specific work of God that transformed the thoughts and practices through the teaching of Scripture, which God had entrusted to people to teach. St. Paul speaks of the Tessalonians as people who changed their whole world view and began to practice it. Here was no personal revelation through stories, but a listening, understanding and application of Biblical truth. Stories powerfully entertain, fascinate, move and create longings. That is all they do. Only when we discover and apply what is really true do we have more than colorful events or tricks to a better personal life. God did mostly not speak through stories, but through words to explain the events in history with authority to each of us.